When your ship lands, it's time to take off and see the sites! 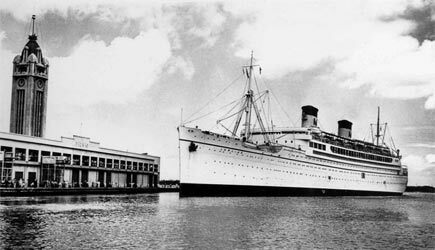 Cruising in the Hawaiian Islands ... an industry that has a rich heritage dating back to the days when airline travel from the West Coast of the USA to the Hawaiian Islands wasn't yet possible. Times have changed! While there are many different internationally-flagged cruise ships that pass through Hawaiian waters to and from the mainland, the vast majority of cruise ship passengers who enjoy a Hawaii vacation are not using the ship as a means of transportation to get to the islands. They are flying to and from Hawaii, and taking the NCL Pride of America, a US flagged ship that does weekly itineraries around the Hawaiian Islands that starts and ends in Honolulu. Because it is a US flagged ship it doesn't require a two-day detour to Fanning Island or a stop somewhere in Mexico at the beginning or ending of the cruise. We have mixed feelings about some cruise vacations to Hawaii. You hop from island to island and get to see and do it all while you are here, right? Well, not exactly. Some cruise ship itineraries are so bad that you barely have a chance to see anything at all. The time in port can be so limited that your only choice for optional tours is to get on one of the cruise line's busses when you hit port and ride around with 70 other cruisers looking out the window. We don't call that "Getting to see and do it all." Read this sentence over and over and let it sink in. Ready??? ENJOY your cruise ship when you are at sea ... GET AS FAR AWAY FROM IT AS POSSIBLE when you are on shore. People who get off the ship and spend their time pointlessly walking around looking like a flightless dodo bird do not see and experience Hawaii. PERIOD. The shore excursions that the cruise ships offer tend to be mass-transit-oriented tours that move at the slowest pace of the oldest person in your group of 70. Get away from that crowd and make the most of your time in the islands! The other thing you will find about shore excursions that the ships offer is that they are overpriced. The cruise ships often MARK UP the activities and tours well over the list price. This is typically done with the justification that the price includes transportation. It is not uncommon for a tour that we sell for $70 to cost $100 or more if purchased through your cruise line. Sometimes our $70 rate already includes transportation! Other times that rate may require a 5 minute cab ride, and you still save $25 or so per person. At the bottom of this page we make specific recommendations for tours, activities, and shore excursions for each port of call. You might also consider filling out the Cruise Ship Shore Excursion Information Request Form at the right side of this page. We will email you with our specific recommendations for the tours that you can do ... we'll even check availability for you! We've now added notes to the bottom of each activity listed on Adventuremaui.com to let you know what tours are possible with your cruise ship itinerary and what transportation requirements are. Don't let the cruise line box you into the tours that they sell ... transportation and tours are easily arranged independently and you'll save a lot of money and improve your vacation experience considerably. There are seven inhabited islands in the Hawaiian chain and seven days of cruising ... that means you get to spend one day on each island, right? Well, not exactly. Some of the islands don't have ports that can handle cruise ships at all (Niihau, Molokai, and Lanai). You'll be spending your cruise vacation on Oahu, Maui, Kauai, and the Big Island. The next variable is that a few Hawaii ports do not have a dock that can handle cruise ships ... your floating hotel has to anchor off-shore and you need to take a tender to get to shore. Don't underestimate how much time will be lost tendering ... or plan a tour or event that is scheduled to depart 30 minutes after your cruise ship is set to arrive in port. Sometimes it can take 90 minutes or more to get to shore ... everybody wants to be the first one off. Unfortunately, some people get off right away ... others will end up waiting. There are two ports in Hawaii where tendering is required. If your cruise ship has the following ports of call, you will be tendering in ... Lahaina (Maui), and Kona (Big Island). The rest of the ports of call have docking facilities ... Kahului (Maui), Honolulu (Oahu), Hilo (Big Island) and Nawiliwili (Kauai). This is really the best situation ... the ship pulls right up and docks it doesn't take long at all to walk onto shore no matter how many people are waiting for the doors to open. It makes it a lot easier to plan your shore excursions and schedule pickups shortly after the stated arrival time for your ship. For Pride of America passengers on their normal itinerary, you only have one tender port to deal with during your vacation, and that is in Kona on the Big Island on Wednesday. The cruise ship itinerary that we like the best is Norwegian Cruise Line's Pride of America. 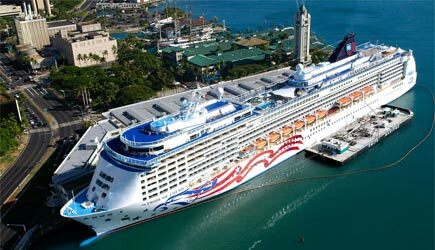 This is the only ship that offers a staggering 100+ hours in port in Hawaii! The regular itinerary for this ship includes an overnight stay on Kauai, and an overnight stay in Kahului on Maui. This means that your best chance to get away from the ship and really see and do things is on these two islands. They also spend long days in port in Hilo and Kona. And since this cruise starts and ends in Honolulu, many cruisers fly to Hawaii a few days early and stay in Waikiki. The Pride of America has exactly the same itinerary week in and week out almost 98% of the time (if you happen to have a rare slightly-altered itinerary, just let us know and we'll make adjustments on our recommendations). We DO NOT RECOMMEND cruises that start in the mainland and end in Hawaii, or vice versa! Hawaii is smack dab in the middle of the Pacific Ocean ... the largest body of water in the world. It is the most isolated island chain in the world. If your goal is to see Hawaii, don't spend most of your vacation at sea ... it just doesn't make sense! If you have more than a week to do a Hawaiian cruise vacation, try taking this approach instead ... do a one-week cruise that starts and ends in Hawaii, and then add a few extra days on Oahu, Maui, Kauai, or the Big Island after your cruise. And even if you only have a week, you might want to spend one full day in Honolulu prior to the start of your cruise ... this would give you time to see Pearl Harbor or Sea Life Park. These recommendations are mostly based upon the Pride of America Itinerary, with a few insights sprinkled here and there for other cruise ships. Other cruise lines have itineraries that spend the night on Maui but they do it at Lahaina. They typically run tenders all night, so you do have some flexibility ... but keep in mind that you can't reliably plan a tour or activity for the first two hours or so after your arrival on day one because it might take you that long to get to shore. There are a variety of good Maui luaus for you to choose from on the West Side. In season you can do a whale watch in Lahaina. Parasailing and Atlantis Submarines is also available. Hilo has limited tour choices available as there are few hotels on this side of the island. The major attraction here is Kilauea Volcano. Many of our clients rent a car from us for the day they are in Hilo, and they drive to the National Park on their own. We do offer a fun Volcano Bike Tour that picks up at the Hilo cruise ship dock. The helicopter tour over Kilauea is very popular, but this is NOT the helicopter tour we recommend. Most people are disappointed with the amount of lava they get to see, and this flight is not nearly as scenic as helicopter tours on Kauai. If you have the money to do two helicopter tours, then go for it. Otherwise, fly over Kauai! Your time in Kona is somewhat limited by the length of time it takes to tender to shore, and the fact that none of the cruise ships spend the night there. You can do Parasailing or Atlantis Submarines while you are there. You can also do a fishing charter or the Hula Kai Snorkel tour. This is one port where we aren't able to arrange rental cars. Due to the distance from downtown Kona to the airport Avis doesn't run rental car shuttles, and a cab to the airport to pick up a car would cost more than the car itself. 1. 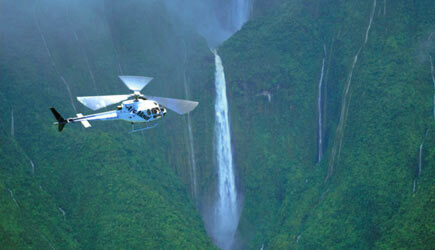 Kauai is the most amazing island to see from the air ... we recommend an Jack Harter helicopter tours. You are spending thousands of dollars per person to come to Hawaii ... it only makes sense to spend another $250 to really see the islands while you are here. There is no better way to see a lot in a short period of time. Jack Harter will even pick you up at the dock, and they offer two different helicopter styles including the very popular "doors-off" experience. For more information go to Kauai helicopter tours. We consider this to be this single most important "don't miss" event in any Hawaii cruise vacation. 2. Ever heard of zip line tours? This is a blast! You wear a harness and clip onto steel cables that are stretched from one side of a gulch to the other. You soar over the jungle canopy with the greatest of ease! Backcountry Zipline is a short cab ride from the cruise ship, or rent a car and drive to the stunning North Shore of Kauai and our favorite Kauai zipline at Princeville Ranch. These are a LOT of fun ... be sure to check out this page at Kauai zipline tours. 3. Kayak up the Wailua River and hike into the rainforest to see Secret Falls, an amazing waterfall and swimming hole. On this excursion you'll feel like the cruise ship crowd is a million miles away! For more information go to Kauai kayaking tours. Most cruises originate here ... if you are arriving a day or two early or are staying an extra day or so after your cruise you might consider Sea Life Park and their dolphin interaction programs. Oh and how could I forget? The most popular attraction in the state of Hawaii ... be sure to arrange your tour of Pearl Harbor with us. 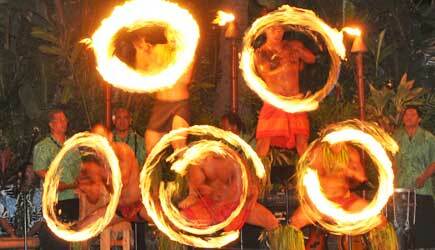 Many clients also arrange a luau at Chiefs Luau or Paradise Cove and check that event off their list before they start their inter-island itinerary on the Pride of America. If you aren't on the Pride of America, you are probably just coming into Honolulu Harbor and docking at Aloha Tower for the day. This can be a tricky proposition. Some ships stay in port a lot later than others in Honolulu. We do have tours that will pick up at or near the harbor. Peruse our Oahu page on our sister website and if you see a tour that you really want to do and you want to make it work, give us a call. If it can work, we'll tell you. If it can't work, we won't sell it to you knowing it would cause a problem. I was at one of the cruise ship docks in Hawaii a few months ago and I just sat for a while watching people as they got off the ship. To my amazement I witnessed a number of cruise ship passengers walk over and climb onto a Wal-mart shuttle bus!!! I cannot fathom spending the time and money to come all the way to the beautiful Hawaiian islands and then spend one second of my time shopping at Wal-mart! For the LOVE OF GOD don't find yourself coming ashore with nothing better to do! 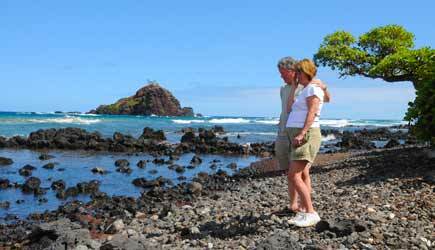 We are destination specialists for Hawaii. Your local travel agent tries to be an expert on wherever the next client wants to go on vacation. If you call us and want to tour the capitals of Europe we don't pretend to know anything about putting together such an itinerary. If you want to go trekking in the Himalayas don't call us ... we don't have a clue. But if you are planning a cruise vacation in Hawaii, doesn't it make sense to work with someone who knows the islands and actually lives here??? Try asking your local travel agent for a restaurant recommendation in Kahului ... first thing they'll have to do is figure out what COUNTRY it's in. Give us a call and make the most of your cruise vacation! 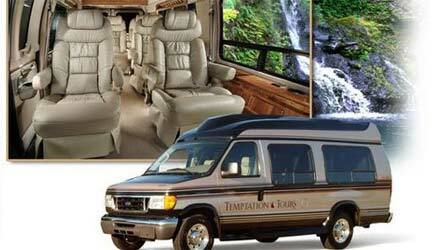 We can plan shore excursions that will enhance your cruise itinerary. Don't wait until you get on board the ship to make these arrangements either. Once you get onboard, you will find yourself vying for available space with 2,000 of your soon-to-be newly-made forced-to-become-not-so-close friends. We've heard stories of cruise ship passengers who filled out a form months in advance to request specific shore excursions from their cruise line, and then they were told they would find out what tours they were able to get once they got on the ship! Guess what! The ones they REALLY wanted to do ... they didn't get. Don't let that happen to you either! 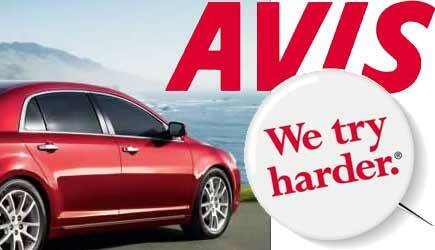 We offer a service that is personable, knowledgable, professional, and will save you money. The cruise line might use a scare tactic to attempt to dissuade you from using our services ... they say you are taking a BIG RISK by reserving tours with us because you might not make it back to port in time and you'd miss the ship. The truth is ... we know what works and what doesn't work for cruise ship itineraries. We WILL NOT recommend a tour if there is any realtistic possibility that you could be late for the ship. We have assisted tens of thousands of cruise ship passengers arrange tours over the last 15 years. We have never ever, NEVER ever, NEVER EVER had ANYONE miss their ship on one of our tours. Not once. Never. Risk? What risk??? If you could get those odds at Vegas I think you'd take them. Name of your cruise ship. Please list the ship's name, not the name of the cruise line.